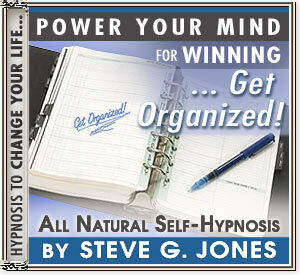 BECOME BETTER ORGANIZED USING HYPNOSIS!!! This will give you the jump-start you need !!! Dr. Steve G. Jones M.Ed. takes you to the next level, puts the wind back in your sails, and reminds you that YOU are a FORCE TO BE RECKONED WITH!! !